Judy Sheindlin, better known as Judge Judy on TV, reportedly defended her $47 million-a-year paycheck in court. A legal dispute between Rebel Entertainment, the firm originally behind packaging “Judge Judy,” and CBS was revealed, showing her negotiation tactics. The talent agency is suing the network, saying its share in show profits has been diminished by Sheindlin’s salary. “CBS had no choice but to pay me what I wanted because otherwise I could take it wherever I wanted to take it or do it myself,” she said in court transcripts, as reported by The Hollywood Reporter. 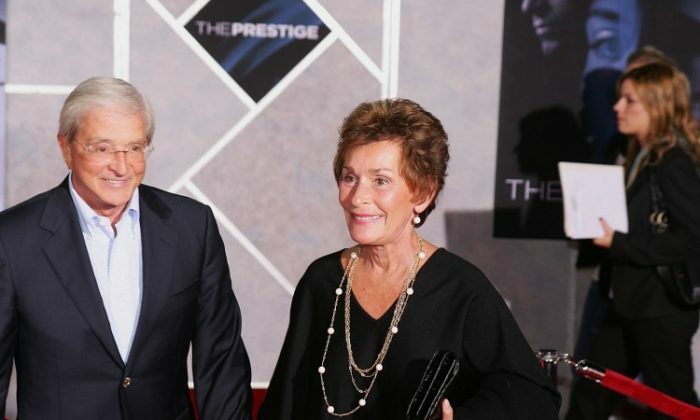 After years of being on the air, Sheindlin, 74, said that she could produce the show herself and cut out the middleman. According to Fox News, she met with the CBS president for dinner and handed him an envelope with her demands, which included a pay raise. One time, President John Nogawski provided her with a counteroffer, she said, according to court documents. “John Nogawski came to the meeting at the Grill on the Alley, and I handed him my envelope, and he said, ‘Judy, I have my own envelope.’ And I said, ‘I don’t want to look at it.’ He said, ‘Why not? Maybe it’s more than what’s in your envelope.’ And I said, ‘Well, John, if I look at your envelope, it’s a negotiation. This isn’t a negotiation.’ And he put his envelope away and they gave me what I wanted,” she said. Rebel claimed in the suit that Sheindlin’s compensation is structured in a way that is designed to reduce the net profits, of which Rebel claims 5 percent. “Judge Judy” premiered in September 1996 and effectively resurrected the court TV show genre. By 2011, Sheindlin had been nominated for 14 consecutive Daytime Emmy Awards. In March 2015, the show was extended for another four years, keeping it on the air until 2020-2021.